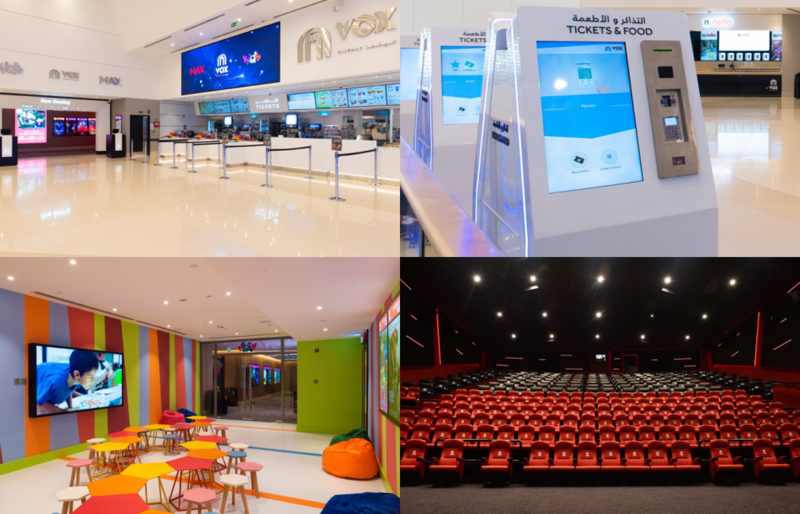 VOX Cinemas recently added two new locations to its portfolio – Al Jimi Mall in UAE and City Centre Suhar in Oman. 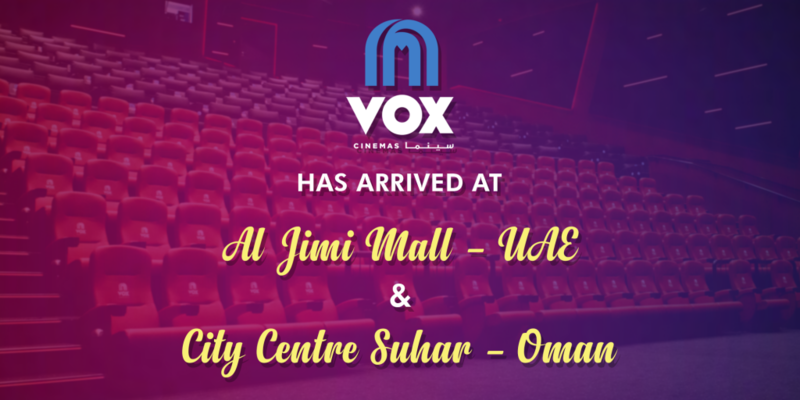 On Thursday 24th January 2019, VOX Cinemas opened its first location in Al Ain (UAE) at Al Jimi Mall. The cinema is home to 8 screens with a total seating capacity of 646 seats, and includes MAX, Kids and Theatre by Rhodes experiences. On Tuesday 22nd January 2019, VOX Cinemas opened its second location in Sohar (Oman) – City Centre Suhar. The cinema is home to 9 screens with a total seating capacity of 996 seats, and includes MAX and Kids experiences. With the addition of these two new locations, VOX Cinemas presently operates 200 screens across 18 locations in the UAE and 58 screens across 12 locations in Oman. Contact us for more information on cinema advertising opportunities across all locations operated by VOX Cinemas – UAE, Oman, Lebanon, Egypt, Qatar, Bahrain, Kuwait and Saudi Arabia.